(Newser) – The US Navy says two sailors from Florida and another from Louisiana died in an aircraft crash in the Philippine Sea, the AP reports. 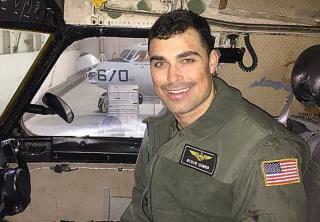 In a news release, the Navy's 7th Fleet said the families of Lt. Steven Combs and Airman apprentice Bryan Grosso of Florida and airman Matthew Chialastri of Louisiana were notified of their deaths following the Wednesday crash. The C-2A "Greyhound" transport aircraft was traveling to the USS Ronald Reagan when it crashed. Eight people were rescued. US and Japanese ships searched for the three missing sailors. "Their service and sacrifice will be lasting," said Vice Adm. Phil Sawyer, commander of the 7th Fleet. The release didn't provide hometowns for the men, but all three were assigned to the Ronald Reagan. The Navy is investigating the cause of the crash. Most unfortunate for the families of those sailors. Who had to endure their loss over a holiday weekend. Lots of love & respect to our brave volunteers, men & women serving our armed forces. This is why we stand for the national anthem. Yes kneeling is peaceful. Yes it is a first amendment right. Yes it is disrespectful and a disgrace.